LYNN TILTON IS NOT AFRAID TO ADMIT A MISTAKE. 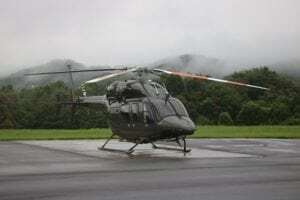 "I make mistakes all the time," said the head of the New York distressed-debt investment firm, which since mid-2005 has been the owner of MD Helicopters. That is in part the nature of her job, she said: She owns 70 different companies, 50 of them with 100-percent stakes. They’re all in different industries. They’ve all got different problems. "I’m testing myself and I’m out of my comfort zone every day," she said. "So I can’t tell you that I’ve got it right or I do it right every day. But I can tell you that I stay flexible and fluid and I continue to work the sails as the winds change." That is as true for the Mesa, Ariz.-based helicopter maker as for any of her other companies. "I haven’t done everything right on MD," she said. "My vision of what it should be and how it should go changes every day as I learn more and more about the business, as I learn more about the industry and how I ultimately see things changing." One thing you learn quickly about Tilton — because she will tell you in short order — is that she is "transparent." That is to say that what you see is what you get. It is a point of pride for her that she doesn’t deal in hidden agendas or obfuscation. I got a quick education in Lynn Tilton (and she in me, she might add) after last year’s Heli-Expo. Based on her debut press conference as the head of MD, I drew an impression about that company’s prospects for winning the then-pending U.S. Army competition to supply 322 Light Utility Helicopters and training and support for their use. I believed then, given the assessment she provided of the state of the supply chain for MD (and for the helicopter industry in general), that those prospects were very poor. Tilton made it known to me, promptly and clearly, that she thought I was dead wrong. You may recall that, because in a testament to her transparency, she posted my comments and her response on MD’s Web site. A lengthy interview in these pages followed. True to her own description, she continued to trim her sails through those stormy days as well as her tumultuous search for the right people to run MD. Today, she is focused, by most accounts, on taking full advantage of the appeal of MD’s helicopters among commercial operators and governments, U.S. and otherwise, as well as in a marketplace filled with buyers frustrated at their inability to get new aircraft when they want them (which is now). Perhaps more importantly, she now believes she has a management team in place that puts that goal within reach. Tilton in November named Chuck Vehlow president of MD. A former head of Boeing’s Apache and general helicopter programs, he is a graduate of West Point and the Massachusetts Institute of Technology, a 28-year veteran of the U.S. Army, and an experienced helicopter and fixed-wing pilot. The next month, she named Ted Gee chief operating officer. He came from Ingersoll Rand and Harley-Davidson Motor Co. She also named Todd Lee, another Harley vet, as director of manufacturing. 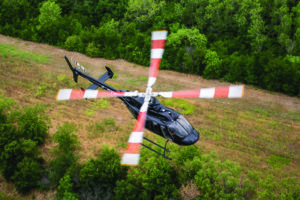 They join Andy Logan, MD’s chief technology officer and an inventor of the NOTAR anti-torque system; CFO Peter Hokanson; Sales and Marketing Vice President David Oglesbee; Customer Support General Manager Jeff Snyder, and Clint Balog, director of flight operations and training and chief pilot. "I’m quite pleased with what we’ve accomplished over the last year," Tilton said. "I’m very, very happy with the management team I have in place... They give me industry knowledge and I take them out of the box and we push back and forth at each other." Vehlow has taken the day-to-day reins, which is "a lot of stress off of my back," she said. "For a long time hereto, I was a one-woman show and running everywhere." Now she can do what she says she is best at. "I’m a strategic visionary." Her vision for MD is to transform it into a simple, efficient company that builds lots of helicopters and, as she said at the last Heli-Expo, sets a new gold standard for customer service. How many helicopters? Eventually, "between 250 and 300 a year." Tilton and Vehlow were not new to each other. He’s worked with her for more than a year, and in fact still holds the post of CEO of her Patriarch Aerospace Platform. He helped her put much of her MD management team in place. So, in addition to allowing him to work close to home, the presidency appealed to him. "I kind of knew the team. I knew her," he said. "I felt working here would give me that opportunity to work with her and move MD forward." To make MD work, "the biggest thing is getting the supply chain working, to get people to understand and believe in MD," Vehlow said. "It’s deliver and perform." Tilton and Vehlow are focused on five key areas, he said. "The first is deliveries and support to the fielded product. That’s key. To make deliveries on time with quality, and then obviously [provide] support to the field." 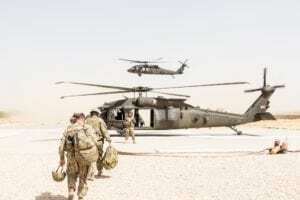 The company claims progress on that front, saying it has reduced aircraft-on-ground (AOG) situations by 90 percent or more since Tilton took over. MD said it has reached another significant milestone in that it now is able to provide both routine and higher priority parts on the same day the order is received in more than 80 percent of cases. The company has also been able to fill 90 percent of customer AOG orders in less than 72 hr. 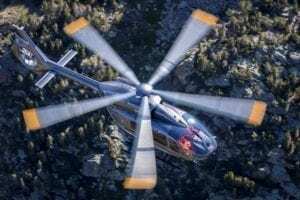 "This announcement confirms the commitment MD Helicopters is making to rebuild the high level of customer service and operator feedback critical to supporting the large MD Helicopter operating fleet," Snyder said. The second priority "is really bringing the supply chain back and making it more robust," Vehlow said. "We’ve got 300-plus suppliers. We believe we can do better with fewer than that, but we’ve got to make a concerted effort to make sure we’re initially getting parts that we need so we can build. But supply chain focus and improving the way we operate with the supply chain are very, very important." The third priority is MD’s new manufacturing plant in Monterrey, Mexico. "We’re currently producing fuselages in Mexico that will support the single-engine line, and will support some of our other customers, specifically" the U.S. Army’s 160th Special Operations Aviation Regiment (Airborne). Monterrey delivered the first fuselage in December, "and we’ve got a flow coming now." The fourth priority "is really one of cash management and performance, and that gets down to doing what we say and saying what we do," Vehlow said. "It gets back to the trust and relationships. If we tell somebody that we’re going to pay him, we pay him. When we tell somebody that we’re not going to be able to pay him now, but we’ll pay him later, we come through and we basically perform like that." The fifth focus area is partnering for growth, he said. "There’s great opportunities for us to continue the platforms that we have. While we’d like to look at maybe doing some of it ourselves, there are people out there that have got technologies and capabilities that would allow us to work with them as a means of improving the product." For example, customers and others out in the field have been telling MD that they would like to see higher-performance blades on the single-engine aircraft, "getting a new blade out there that basically operates on the same planform, but gives them better performance and better reliability." The company also is looking at putting hydraulics on the MD600 and improving the console layout and performance of the MD900 series. "We haven’t done an upgrade on the avionics in that for some time," he said. "Those would present pretty good opportunities for partnering." The company already is upgrading its single-engine cockpits. Last year, it picked Chelton Flight Systems electronic flight instrument system (EFIS) for its light singles. Starting late this year, those aircraft will be available from the factory with two Chelton EFIS displays, a solid-state strap-down gyro attitude/heading reference system, an air data computer and a GPS/Wide-Area Augmentation System receiver. The system also features a synthetic vision primary flight display, dual integrated head-up flight management system, Class-B or -A helicopter terrain awareness and warning system, a master caution voice warning system, Highway-In-The-Sky navigation, a digital flight recorder, and Chelton’s unique hover vector display. The system is night-vision goggle compatible. Chelton is working with Patriarch-owned Heritage Aviation in Grand Prairie, Texas on a supplemental type certificate to install Chelton EFIS retrofits on all existing MD light singles — the MD520N, MD500E, MD530F, and the MD600N..
As example of Tilton pushing her managers "outside the box," Vehlow noted the company delivered 13 aircraft in 2006. "We’ll probably be doing three to four times that this year," which is to say roughly 40-50 in a combination of singles and twins. Tilton’s view? "Hopefully we can get to 70 helicopters this year," she said. "We’ve got everything sold that we can actively tell people we can deliver, but I’ve got to see if I can ramp up production."